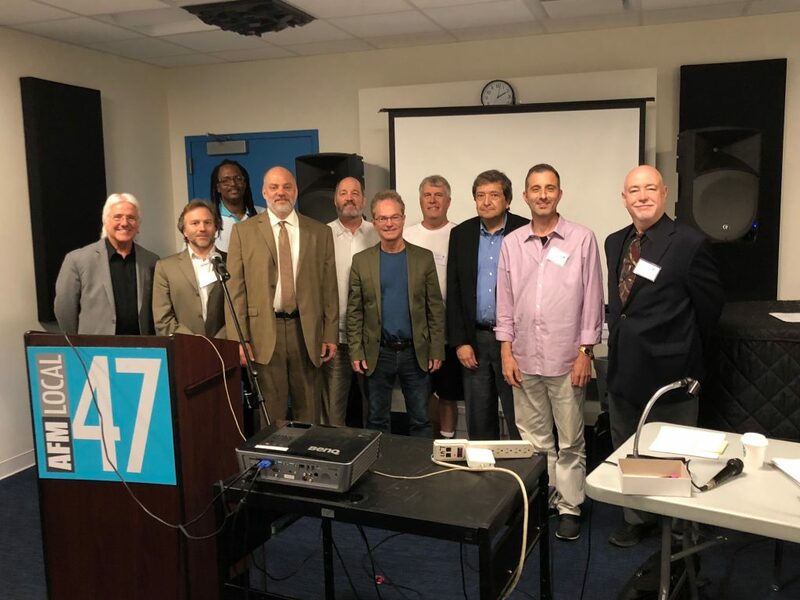 AFM Local 47 was proud to host the 23rd Annual International Conference of the Theatre Musicians Association Aug. 20-21. 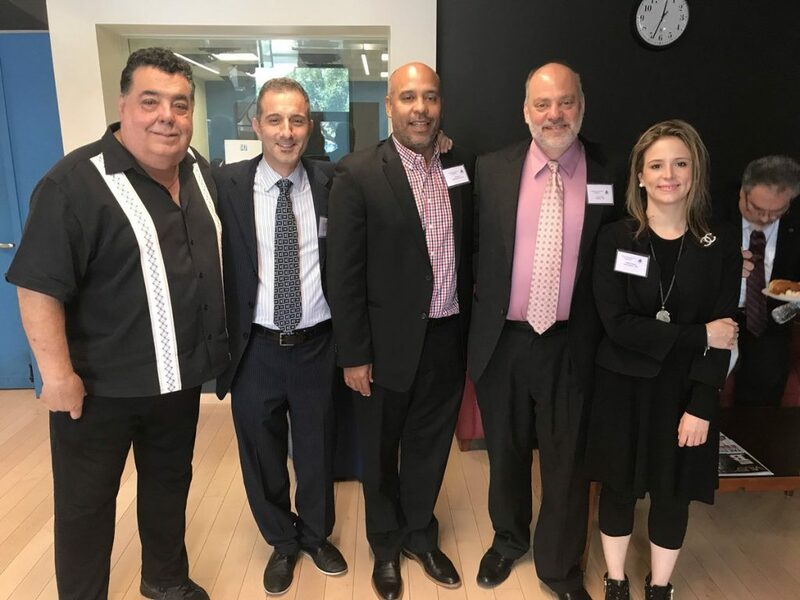 Theater musicians from across the United States and Canada joined together with the mission of continuing to build the organization that is our voice within the American Federation of Musicians. Local 47 Vice President Rick Baptist, TMA Secretary/Treasurer Mark Pinto (Boston Local 9-535), Local 47 President John Acosta, TMA President Tony D’Amico (Boston Local 9-535), and TMA Vice President Heather Boehm (Chicago Local 10-208). This entry was posted in All News, Features and tagged Theatre Musicians Association, TMA on September 14, 2018 by admin.